SPOON & STABLE & being stagnant — Simple Sugars. The epitome, the mecca, the holy grail of Minneapolis eating. 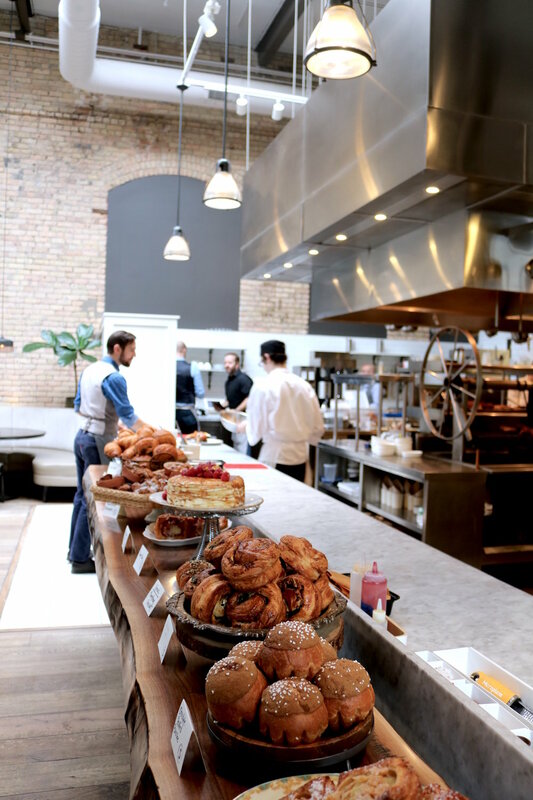 This would be Marie and I's second tour of Gavin Kaysen's restaurant for the weekend and also our second of Spoon & Stable in our lifetime: read about our discovery of the Crepe Cake. Going to the same, enticing, restaurant has it's perks: it's nice to feel something familiar, comforting, but still exciting. Going to a routine restaurant tests my ability to try something new. The Walnut Bar of Wonders. What S&S tested me on this time around is: RED WINE POACHED EGGS. Spoon & Stable is familiar, but it is the furthest thing from stagnant - where even though a place feels like home but you still get that exciting feeling about actually being home. What I love about that feeling, is that past what you already know, it is up to you to find new things to be excited about (like red wine eggs or drinking wine with your mom by the fire for the first time). Finding these novel experiences pushes your own boundaries beyond what you know of this familiar place. These red wine-poached eggs juggled my thoughts, back and forth, but I just took the leap to order them anyway. You have the option to be stagnant or not. You can be hella comfortable and confident with all the things you already know in this world, or you can do something out of the box, with no guarantee on the outcome. The eggs blew me away. They were so rich, the toast was nutty and crisp, the mushrooms were buttery and tender, and then it was a mouthful of WINE and EGGS, two things I didn't know went so well together (new excuse to have a glass of red wine with breakfast...?!). The other side of not knowing that wine and eggs were best friends, IS KNOWING (duh, right?). So do it anyway - good or bad, right or wrong. You will either like it or you won't. What I learned is any of those outcomes are great. They are growth, they are being human - and that's what I love about being a human. I truly feel like I am living when I am DOING THINGS. Anything. Be alive. Take a class. Read a book. Reach out. Cook with me. Write a friend. Do ANYTHING to expand your potential - physically, mentally, spiritually. LIFE IS WORTH IT. However, we went for the usual of the Crepe Cake ;) It was dressed in gold and layered as nostalgically as anyone could ever want. The layers were thin, yet fluffy; tender, yet distinct. The Crepe Cake never ceases to make a presence at the table - it's the perfect end to any meal. It's sweet and simple and doesn't let you forget anything else you had during the meal.